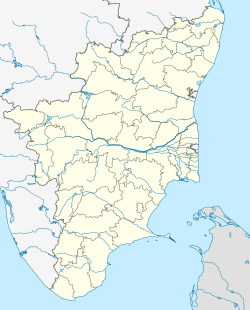 Reethapuram is a panchayat town in Kanniyakumari district in the Indian state of Tamil Nadu. As of 2001[update] India census, Reethapuram had a population of 11,625. Males constitute 48% of the population and females 52%. Reethapuram has an average literacy rate of 80%, higher than the national average of 59.5%: male literacy is 82%, and female literacy is 78%. In Reethapuram, 11% of the population is under 6 years of age. It has a traditional church and it has a good Higher Secondary School, Namely Providence Higher Secondary School. It Managed with Holy Cross Sisters. This Kanyakumari district location article is a stub. You can help Wikipedia by expanding it. This page was last edited on 31 May 2018, at 01:55 (UTC).